Today, we’re at LARS, which is the Los Angeles Recording School. It’s part of the Los Angeles Film School, and they have a wonderful audio program here, and my friend Jason McDonald let us come here to do a lesson on patchbays. It’s kind of permanently patched in the way that I like to mix and track, and I’m a little afraid of it. It’s been set that way for several years now. So Jason very kindly let us come here and use his SSL Duality, and it’s a beautiful console. It’s a newer version of my 4000, and it’s a very flexible console with tons of different ways to route. It has this middle section here where you can route in all kinds of different ways. You can send pre-fade, post-fade, you know, you name it, and all of that is available over here on this lovely patch bay! The great thing about this patch bay is it allows us full access to everything the console can do, and everything that all of this equipment over here can do. We’ve got Pro Tools inputs and outputs, you’ve got different multi-effects that appear on here, compressors, EQs, external mic pres, you name it. Even some keys and DI inputs, and outputs, and the two different live rooms to the left and right of the console. Everything comes up on this patchbay. A student can come in here, learn this patchbay, and this basic principle of these patchbays can be applied to any other commercial facility anywhere in the world. So it’s very well laid out, and it’s a good way for us to talk about how patchbays work, and I can basically show you how my patchbay is laid out, and how any patch bay that you’re going to get is laid out. Also great tips for you, you know, because if you want to turn your private studio into a commercial facility, you’re going to want to take some of these tips here. So let’s get stuck into the patchbay. Here, the mic lines are feeding from the live rooms, I think there’s two live rooms here. The slightly larger one, which is over to my left is where they would probably do drums, etcetera, and then over to the right, guitar overdubs, vocals, pianos, etcetera. Probably even drums in there, it’s big enough to do a smaller drum kit and get a nice tight live room setup. Okay, so you’ve got your mic/line inputs here, of which there’s 48. Then your channel inputs there. Normally, this would be normalized, which means, if you don’t actually break it, so if I take a cable here, I don’t need to do this. Basically, this — you know, is plugging input one into channel one, and if it’s normalized, which I’m sure it is, those will actually always be connected, unless I break it. So say for instance, I wanted to use a different mic pre other than the one that comes in the console. I would then come out of the mic/line and go into the X81 here. There’s a mic input here. Like this. And then I could either chain a compressor, say there’s a kick in and I wanted to put a little compression on it, I could come out here. My output’s on the bottom. And go to the input of say, the 160X, which is typical for me, I use the 160 a lot. Then come out of the 160. So then I would come back in to my line input, which they’ve labeled “Monitor Input.” I suppose they’re labeling like that, because you know, if this was a mixdown, that’s another way of talking about it. But that’s our line input on here, so they’re either called monitor input, or more typically, line input. So come back in here. So once again, let’s do it slowly. Our mic/lines are from our mic panels. So mic output here, mic/line output 1 is from our kick drum. We’re going to take that, fall all the way down here to a mic pre here, which is the X81, which is a Vintech Neve simulation. So the input is on the top, and then that’s coming out here to the 160. DBX 160X, into the input on the top, and then the output here going back into monitor in, which is actually line input. You’ll see that more commonly written as line input. That is breaking the normal. Otherwise, channel 1 here, the mic/line output, you know, coming from the panel — so this is the mic panel here — would normally be normalized. So I pull that, and now it’s going straight to input, channel one on the console, which is over here. That’s very typical on any console. The reason for that is it makes the most amount of sense. You know, if I’ve got a console like this, and you know, for me, personally, when I’m doing drums, I like to try and use as many of the same mic pres as possible, so if you have a really nice Class A, or a really nice console like this SSL here, it’s nice if you can get all of the drums going through it, because every pre is the same, the transient response time will be the same on every single one, so those drums tend to hit really percussively and concussively. However, there might be instances, you know, where you want to try a different mic pre. You know, a Neve or a Neve simulated mic pre like that will have a little bit more girth and bottom end, so it might be nice to do that on the kick in particular. So if we have one or two, you know, kick mics, we might want to add those, the snare as well, it might be nice to get that kind of extra girth, but that is a typical way that you would setup your patch bay. Next here is the Pro Tools outputs. Now, obviously, these, again, will be normalized to the monitor inputs. IE, either line inputs. So when you’re mixing, if you just want to just use the console’s compression and EQ, and then do stuff in the box, you know, putting some additional EQ and compression and everything, great, just leave it as it is. However, if you want to do a similar thing, let’s just say you want to hear some hardware, some real compressors, some real EQs, exactly the same process. We can take the Pro Tools output here of say, 1. Maybe we’ve summed all of our kick drums together onto one. There’s not many good 160 simulations, to be honest. I’ve known a few dbx ones, so let’s just say it wasn’t recorded with a 160 and we wanted to hear it, we could do the same patch. So we could go into the 160X here, and again, because we broke a normal, we’ll come out of the output here and then back into the line input — the monitor input here. Great, so exactly the same process. We’re patching the 160 in to use for compression, we pull it, it’s normal. Put it back in, and we’ve inserted it through the hardware. If we wanted to, we could do exactly the same process using the channel insert sends. So we could do it on the channel, like such. So we could just literally use the console’s EQ, compression, and everything, and if we wanted to insert effects, or compression and EQ, we could do exactly the same patch. The thing about using the Pro Tools outputs is we can get a little crazier, because we can sum and buss stuff in a different way than we might do in the console. So we can do unique things, then come back into the console in a different way. So that’s a lot of flexibility. That’s really the bottom line with patch bays, and the whole idea of a patch bay is having all of these amazing different ways to get in and out of signal so you can do all kinds of crazy stuff. There’s no rules. If you wanted to sum, you know, take a stereo pair on Pro Tools here, whether it be one and two, 13 and 14, 15 and 16, whatever, and do something inside of Pro Tools, and then have that go through some different compression and EQ which is available, and then bring it back in to line inputs, you could do that. Then you’re doing stuff inside of Pro Tools, and you’re not necessarily using the console. Because consoles are fantastic, but each of them work in different ways. This one in particular, we were talking about earlier is all assignable, but not on the channel strip. It’s assignable through a matrix system in the middle there. Let’s just say you have a particular way of working, and you have a session that you’ve opened up from a different console, you might not have all of that available, but you may have already done bussing and hardware inserts, and all kinds of crazy stuff like that, so the great thing about having a really, you know, comprehensive patch bay like this is you’ll be able to simulate things and move easily from one studio to another. That’s the great thing about professional studios is they try to cover every eventuality. Typically and professionally, sends are always on the top, and returns always on the bottom — I have seen them around the other way in some places — usually, you know, people don’t build their own studio stuff, but typically, we’d take a channel insert/send, and that would be, in this — you know, on a mixdown, you know, I don’t personally insert like that when I’m tracking. I would want that to come out of the mic/lines into a compressor, back into a channel input when I was tracking, but you could insert if you wanted like that, but I wouldn’t advise it. This would be a mixdown situation. So the direct outputs on the channel here. Same thing. On this particular console, on this SSL, it is assignable, so we could make these whatever we wanted to. They could be pre-fade or post-fade. You know, I probably typically would — because you’ve got inserts here, I would only really see a necessity for this if I wanted to do something post-fade, because this is already going to be, typically, I would insert and then have fader control of compression. The audio signal would be compressed, and then I’d want fader control over it, so maybe I would insert an effect there, but maybe I wanted something post-fade on a mix that could be kind of fun. You know, having a volume ride going into a — you know, another compressor to do a specific effect, or EQ, or distortion, or whatever. However, this is all once again all personal taste. You know, you’ve really got a million different ways of doing things here. You could insert compression here, you could also have compression on, you know, a channel output which is pre or post-fade. It really is completely controllable to you. So the Pro Tools input here — here’s our Pro Tools input — however, it is normalized. So just like the mic/lines here, coming from the panels, normalized to the channel inputs, the channel inputs are normalized to Pro Tools input 1. So here, I’m selecting on the top one, where I’m selecting whether I want to use — you know, if it stays like this, it uses the SSL mic pre, if I break the normal, I can then select a different mic pre. The same thing here is on Pro Tools input. So I could break the input, or it’s just normalized to Pro Tools there. So if I wanted to come out of the channel out here, once this assigned on the console, I can come out of a direct output assigned pre or post-fade. Maybe in this instance, post-fade, and come out of this channel output, and do another compression, or EQ, or something. You know, and the reason, which is nice for this, is let’s just say I’m already using all these things. I’ve done something, I’m tracking, and I’m not happy. It might be a quick and easy fix to just insert something else, you know, somebody might come in and put in a piece of rack gear, and I might just want to compress lightly, even after doing a couple of fun things down here, it gives me one more quick option without having to unpatch five cables, six cables, I could just add another compressor or an external piece of equipment, then go into the Pro Tools input. Again, a lot of flexibility on a patchbay is a good thing. Okay, so next here, we have track buss outputs. Now, these are the buss outputs from the console. They’re assignable, obviously, from the console, or from each individual channel from wherever you want it to be. The way that this particular studio is setup is the track buss outputs are normalized to the Studer inputs. They have a 24 track Studer, an 827, which is a great machine. It’s the last machine they made. They did also make a gold model above it, but essentially the same machine. So it’s an 827. You can assign these, obviously from any channel, anywhere on the console. This particular SSL is — you know, is assignable in a very unique way from the particular — you know, like an old Neve analog console, where the buss assignments would be assignable on the channel. This one, you can assign all kinds of craziness and really go nuts on it. But you’re going to see this kind of thing quite often, because here in the modern world, we’ve got a tape machine and Pro Tools. So the way they’re doing it is they’re coming out of the channel buss assignments, which of course, could be multed from many channels. They could have three kick inputs printing down to one, you know, because obviously, it’s a 24-track machine, so if they’re recording a live band with a lot of inputs, they could have some fun multing stuff on the console, then printing into the Studer, and you know, because it’s only 24 ins, in this day and age, that’s not very many inputs on the digital world. When I grew up as a kid, that was a lot. We aspired to having 24 channels. Wow, you’ve got 24 channels? That’s incredible! Anyway, so again, normalized, and you can break that normal. You could go in, you could do compression before going into it. You could do all the compression and EQ you want using channel inserts and all of that kind of fun stuff, and then do it again going into the Studer. The Studer could have a different set of EQ and compression going into it that could be setup permanently. You could do all kinds of fun stuff. So again, a lot of flexibility, and very useful to have. Next is our mix insert. So we have three mix busses on our SSL here. SSL has always had this facility. It’s one of the great things about SSL mixing. Like, with a drum mix, quite often, you can either buss it and have a drum mix come back on a pair of faders, but what a lot of people do is have that drum mix come up on its own stereo fader, then compress that and fold that back into the main mix. What is typical is A is your stereo mix buss, then these other two mix busses, B and C, could be, you know, B could be my drum mix. So I could have that go to a stereo mix and do the same thing. Come out of that SSL stereo mix and go into some compression. So I could do some external compression or limiting, and then that inside of the SSL buss matrix would be folded back into A. Again, obviously, the SSL would probably have a 4000 buss compressor, but if you wanted to try a different buss compressor, you can do the same thing on mix buss A here, you could use another external compressor, and EQ, etcetera. A lot of flexibility there, and of course, this is normalized. So you know, it’s always going to come back, regardless of this, but once you plug in here, you break the normal, and you can go into whatever fun stuff you want. To the right here is external source inputs on — again, this is very to do with whichever console it is. Now, each console can have different inputs and outputs, you know, assignable to it. We don’t have to go into the detail of this stuff, because whatever this console has available may not be what’s available in other consoles, but there may be different inputs and outputs that are available on it. So yeah, these are all external listening sources, so you could have an RCA input coming in here from an iPod, it could be a CD player, if you’ve still got one, a DAT player, you name it. Different external inputs. It’s nice to have those available, and obviously this is designed as a commercial facility, but if this wasn’t a commercial facility, I could have this permanently hooked up to different ways of listening. You know, my laptop could be plugged in, the computer output could be coming in, there could be a floating 3.5 millimeter mini jack for different people to plug in their reference sources as artists come in. It’s a fun thing to have, and again, this is available to this SSL, but different consoles will have different external inputs. Here’s the mix outputs. So these aren’t normaled anywhere, which is typical. These aren’t normaled to a particular stereo pair of Pro Tools inputs, but let’s just say A obviously is our main mix buss, we could come out of A here, and let’s go back and find our Pro Tools in. And our last input here, here’s our Pro Tools in, it’s down here. So 47. This would be post-compression, if we were running compression on our inserts, etcetera, and here we go. So that’s your patch. So there’s your patch coming out of mix outputs from the SSL. A, left, right, so that’s A L, A R, going into 47 and 48, and that could be my print input on Pro Tools. Now, you could also bring in, you know, I use a Lavry for my stereo mix. Maybe you could bring in your own Apogee 2-track input, all kinds of fun stuff. So that’s how you would get to it. So get to this, you know, out of here. 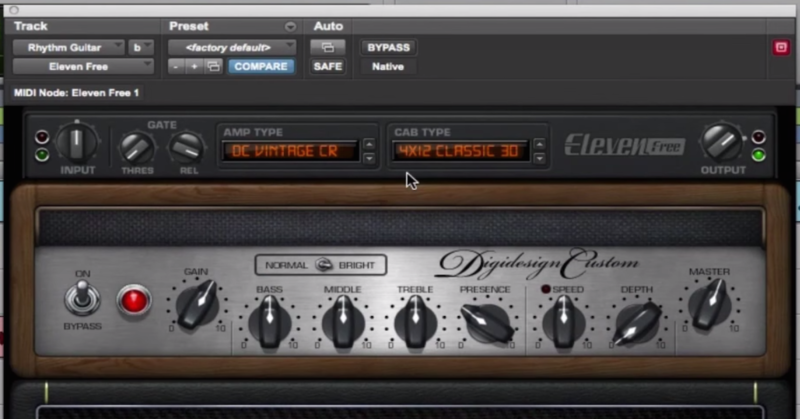 Again, if you wanted to, there’s no reason why you couldn’t also insert an EQ or compression across that. Again, a similar situation, you may have your compression or EQ setup, you’re loving it, but you just want to add a limiter, so rather than taking all of your chain out, you come out of here, you go into a new limiter, these can obviously go into XLRs, go into a limiter, patch in quickly, put it in there, or a limiter may be inserted somewhere here. The bottom line is this gives you a lot of flexibility to do whatever you want when you’re moving quickly. Especially as an assistant, if you’re an assistant engineer, this is a quick way of doing things, and not having to sit there when the client is wanting something done like that, and you’re unpatching tons and tons of stuff to potentially make a mistake, which we all do, this is like, “Oh, he wants to add a limiter?” Boom, straight into that limiter, straight into that limiter back in, off you go. Okay, so the monitor insert sends here, 5.1, so we have left, right, center, low frequency effect, then left surround and right surround. So that’s for our 5.1. Now this, we believe, is just setup, you know, if you wanted to insert some additional compression across those. Personally — or EQ — personally, I don’t know if I’d ever need that, but it’s available if you want it. This is a whole bunch of stuff here, again, just to show the comprehensiveness of this patchbay, you’ve got the main mixes here, again, we can come out here, we can go into different power amps, different powered speakers, it gives us a lot of ways of — if you’ve brought in some different speakers and you didn’t want to unpatch these, you just say a pair of powered speakers on top of the ones that are here, you can just come out of that patched straight into the back of it. So this is just a lot of different ways of doing stuff. So next, we have our effects sends. We have two stereo cues, and we have four independent effects sends, which are on the console. Now, the stereo cues would typically be headphones, you know, so you create a stereo cue mix, you could have two independent mixes like that. You know, 99% of the time, when you’re doing vocals, you could have a board mix that you can send to the singer, and then on his channel, his or her channel, you can then send a little bit more monitor mix that way. Again, everybody works differently. Most of the time, we’re doing vocals, I send the 2-track mix that I’m listening to, and then I give the singer a little bit more on my SSL. That would be one of many ways that I could send a headphone mix would be out of my cues. So I could have a stereo cue coming up on the console. That is the one thing about digital that we always have to look out for, is we can get that slight phasing, and sometimes, delay compensation when you’re running a lot of plugins isn’t capable of handling it, because you’re right maxed out. The great thing about using an analog piece of equipment, you know, that’s still great is that you can send out from all of these thousands of different ways, tons of compressors and EQ, and it all comes back in, and there’s no perceptible phase issues. Now, maybe somebody would argue that there would be, but to be honest, the differences are so negligible compared with the issues I might get inside of my DAW doing that same kind of thing. Interesting, they have multi-effects here. So if this was my — I was mixing and I used my four effects sends, you know, because they have a PCM 96 SPX inputs here, I could go into my inputs of my effects here, and it looks like they’ve got that output set back there, as you can see here on this SSL, the effects returns are back here. They called them echo returns, that would come up in the console. You can come back in on channels, a lot of people like to do multi-effects on channels, because when you have faders available, you might want to do some fun stuff. It’s so much easier to do it here, to have a reverb that is assigned coming here, and I might want to do a quick push, like on the end of a phrase, you know, maybe the vocals fading out, I want to, [emulating vocals] and I want the verb to come up, I can do a little automation of the verb as the vocals are fading. It’s really up to you. That’s the bottom line with a patchbay, is to have everything available here so we can do all kinds of fun stuff. There’s no rules, if you want to come out of that effects send, go into a compressor, into an EQ, then go into a multi-effects, then come back on fader, you can do it. If you want to just come out of the effects send and use it to do something completely — you know, maybe that’s — you’re running out of ways to monitor. Oh no, I need another way for somebody to hear themselves! Another headphone mix! Use the effects send. That’s what this is for. It could be called an effects send, but it could also be another way to get to John over there who’s just turned up for the kazoo solo, and he needs his own independent headphone mix, use the effects send. That’s the great thing about a patchbay. Here is — you know, some stuff which is very typical. It’s just really here now in these last few patchbays here. This is just to illustrate the flexibility of this particular studio. They have equipment that is just — is just their equipment. You know, so you know, guitar part. They’ve got a DI output here, for DIs that are hardwired in here. They have the 960 Lexicon available, the inputs and outputs available here. So here is like, different ways to get into multi-effects and keyboards here, this is all available. These are open inputs, 25 to 32, which we could patch anything we like in. Here’s the mults. Now, what are the mults? Here’s the mults. This is a trick I always like to do. Let’s just say we’re coming out of 24 in our mic/line. So this is a panel here. There’s a lead vocal coming in here. I might come out of this. I might go to — let’s do something kind of crazy-ish here. Let’s go and find our — here it is. Mic/line input on our external mic pre. So I’m going to come out of my mic/line output, the line output there, and now what I’m going to do is I’m going to do this. That’s my lead vocal. I’m going to go into a mult, like such. Now, that mult, now, all of these four here are all wired together I think is the dumb way of describing it. So now what I want to do is that input, these three outputs now, these are now three outputs to do whatever I want to. Simple as that. I’m going to come out of that, let’s get some extra cables, and I’m going to do some parallel compression. Now, let’s have a look. What do I have two of? Perfect. So I have two 1176s. So I’m going to go into 1176, the first one, and I’m going to setup some light compression. Then that is going to come out and go into mult 2. This might take some re-explaining. Okay, now I’m going to come out on the second mult 1, and go into the other 1176 input here. Come out of that 1176, back into mult 2. Now, I’m setting up these two 1176s differently. This one 1176 is going to have light compression that is only coming in when the singer screams. It hits when he’s screaming or she’s screaming. The other one here is compressing on all of the softer stuff. So basically, I’m setting up compression to happen no matter whether the singer is belting or singing softly, and I setup the output so that it’s always giving me a good, hot signal. Now, you might ask why? Well, what it does is it gives me a fat tone all of the time. So now, both of those outputs are going into mult 2. Now, mult 2. This now is an output as well. Now mult 2 is going to go into a monitor input 24. My line input. So now, what I’m doing — and that’s normalized to Pro Tools. I could go straight into Pro Tools if I wanted to here as well, but it’s normalized, so if I wanted it to go in there and use any kind of facility that the SSL has, I could do that. But there you go. So what? Let’s go for that again slowly on why a mult is really cool and very useful. It might take some double explaining. I’m coming out of my — I’m coming out of output 24, which is one of my mic panels, so let’s just say that my vocal is patched into 24 on my mic panel. I’m coming out of that into a mic pre here. So this is the mic input here coming out of the line output from that mic pre, into the first mult. We see that? Mult 1? Now, that mult is allowing me to have two outputs. So these two outputs are going into two different sets of compressors. Two 1176s. 1176 A and 1176 B. I’m setting up those compressors in two different ways. One compressor is set to compress the softer vocal, and then it has a nice zero output, so it’s printing a nice, big, fat vocal. The other one is set to only pickup peaks when the singer in screaming, and that’s set to an output of zero. So I just basically A/B it. I can mute one, then mute the other, and listen, and then those outputs are going back into a mult here, and then that output from that mult is going into Pro Tools. That is one way of using mults. I love it, it’s a really quick and easy way. I do it all the time on vocals, parallel compression, so I’m printing a big, fat vocal sound. Okay, great, I’ll just mult my output from that, so when the reverb comes up, the delay comes up quickly, you know, just take that output, send that to a delay. Mults are a godsend. They’re a godsend for any assistant engineer when he’s trying to quickly figure out how to get into five different things at once. Because you can mult to a mult, you can do all kinds of crazy things. They are a great thing to have on patchbays. Okay, that’s a lot of cables! So imagine what it’s like if you’re doing a lot of compression and EQ. This can turn into a spider’s web of cabling. Okay, and last but no means least, we have a full available user option here. The panel above here is all the different effects ins and outs, which are, you know, particular to this studio, so you could put in all your different reverbs and delays could be available, inputs and outputs here. They have a lot of comprehensive effects here, they’ve got Lexicon 400s and stuff, that’s great. Down at the bottom, and I think actually quite nicely, they’ve called it a user option. It’s 48 inputs and outputs, which I’m sure is all available either on its separate panel, which you could plug in to XLRs, or a snake that comes out, because some guy might roll in here one day with his own Pro Tools rig. He doesn’t want to use the Pro Tools rig here, he might have HDX as opposed to HD, he might have Apogee converters, he might have whatever he wants to use, and yes, you could sit in here and unpatch everything, or you could just roll his rig in and take those XLR inputs and outputs and plug it in the back, and off you go. Maybe it’s an LCO. Some people have an LCO ready to go. They’re so used to tracking and moving from one studio to another, they have an LCO. Whatever it is, it’s great if you’re a commercial facility, or you’re even a budding home studio guy, and you want the ability to be able to have other engineers come and go. Have it available on a patch bay. Have a way for people to come in and out. It doesn’t have to be a Pro Tools unit, it could be multi-effects, it could be their mic pres, it could be compressors, EQs, whatever it is. This is a great thing to have. Hopefully, I covered everything in the patchbay. Everything that a patchbay does, but please, of course, as ever, leave questions and comments down below. Also, if there’s things that you do in your patchbay that you think are more flexible, or — just let us know. I’d love to have a discussion about this. As ever, I learn as much from you as you do from me. You know, and thanks again, to LARS for letting us come in and use this. It’s great to be able to come in to a place like this which is laid out like a commercial facility, so we can see how things are patched in the real world, and please, leave some questions below, leave some comments, subscribe, go to producelikeapro.com and sign up for the email list, and you’ll get loads of free goodies, and thank you ever so much for watching!